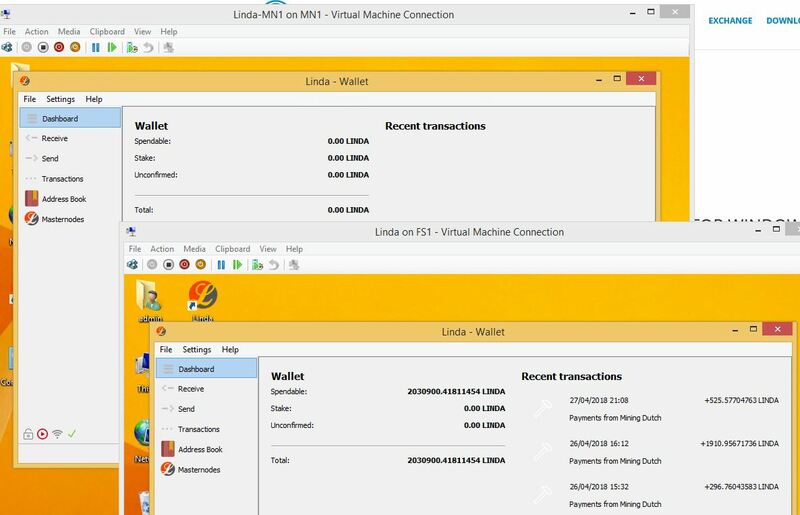 This guide explains how to configure a Linda Coin Master Node to use a hot and cold wallet running on Windows 7 Workstation or above. 2x Local Windows PC’s (virtual or physical) newly installed and patched. 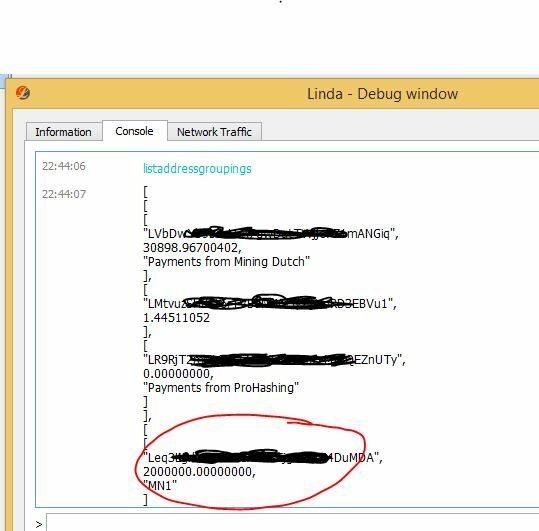 Latest Linda client installed and fully sync with the block chain. The first thing we need to do is send out stake amount of 2,000,000 to a new address that will be our node address. It has to be exactly 2,000,000 coin not more, not less. Open the Debug window and select the “Console” tab. Type in <getaccountaddress MN1> where MN1 is the name you give your node. You should get a familiar looking coin address. make a note of this address in Notepad on your desktop. We now need to send 2,000,000 Linda to this new address. Close the debug window for now and navigate to the Send TAB. 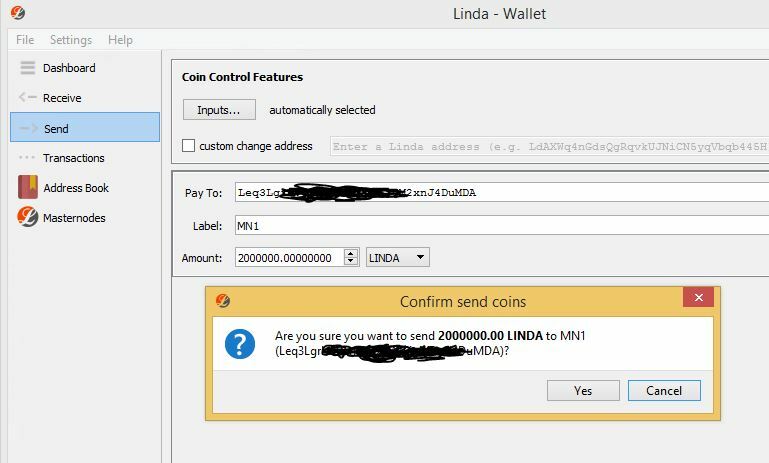 Send the Linda coin to the new address you have just created by pasting in the new address in the “pay to” field. The label field should auto populate with the name you gave the address confirming the address you are about to send to is correct. You will see a pop up message saying that you have send 2million Linda to Yourself, wow that was scary!!! Also add and keep up to date the “addnode=” list. I have added 2 to get you started but check the Discord channel for updated lists. Lets look at this closer and were to get this information. Do NOT include the quotes, they are to make it easier to read.